The A3094 will be closed again overnight starting on 21st September. 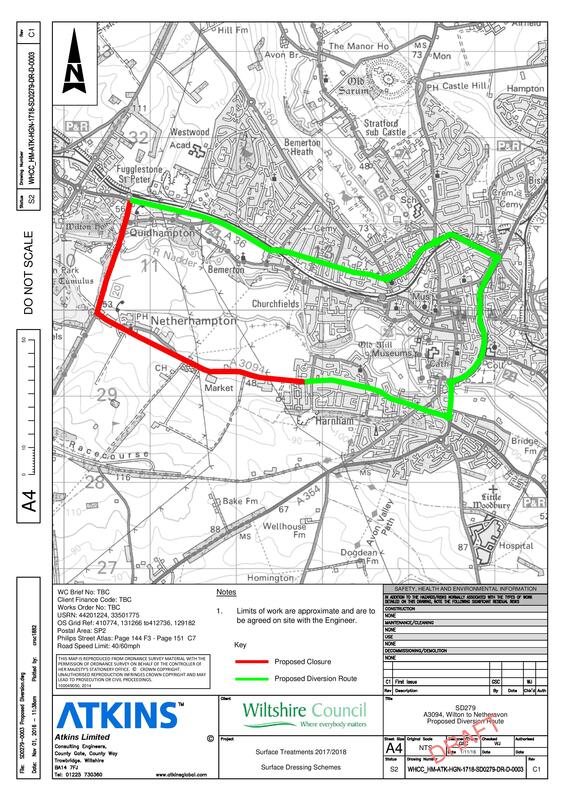 The works are planned to run for two nights (from 1900 or 7pm in the evening till 0600 or 6am the following morning) but the notice remains in place for five days should the need for changes to the programme arise. The alternative route is to go through town and round the ring road (see the map, right).